Tignes is one of the highest ski resorts in the French Alps and is connected with Val D’Isere to form the enormous ski area of Espace Killy. If you are looking for a stunning winter paradise to escape to this year, Tignes les Boisses could be number one on your list. 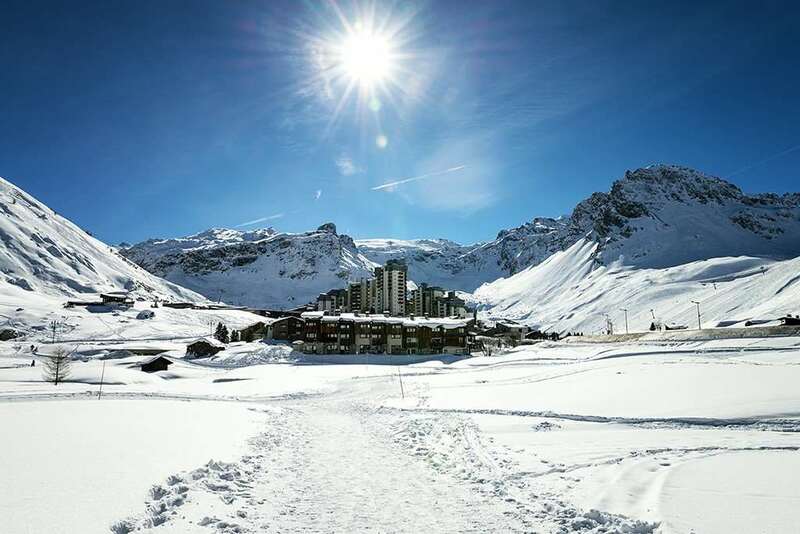 This lovely village located in the French Alps in Tignes has everything: fantastic facilities, excellent runs and a warm and welcoming atmosphere. Ski accommodation in Tignes is located in 5 different areas, Tignes le Lavachet, Tignes le Lac, Tignes Val Claret, Tignes les Brevieres and Tignes les Boisses. Tignes les Boisses, is located below the three main villages, quietly nestled amongst the trees, beside the road that leads up to Tignes le Lavachet. It is a tranquil location for a ski holiday, away from the hustle and bustle of the main resort, yet the vast ski area of Espace Killy is still accessible, ensuring you do not miss out on any of the exciting and challenging skiing available. There are plenty of excellent things to do across Tignes, with wonderful hospitality that is sure to make all visitors feel right at home. What’s more, there are some extraordinary accommodations to choose from, including Chalet Hotel Le Dome. Here, you can expect amazing service and facilities that are just 50m away from the slopes. The best skiing in the area is across the wider Tignes area, which is regarded as one of Europe’s most popular resorts. The Tignes and Val d’Isere area covers more than 300km of marked pistes, while there are also several options off-piste for those looking for something a little different. The ski season in Tignes runs from November to April, giving visitors plenty of opportunity to make the most of the winter. Due to it’s high altitude Tignes is considered to be one of the top snow-sure ski resorts in the Alps. Nightlife in Tignes Les Boisses is limited, however, a regular and free bus service connects all the villages and runs until midnight. You therefore do not need to miss out on any of Tignes entertainment during your ski holiday. With plenty of fantastic attractions to look forward to in the main villages, there are many things to do once you are done on the slopes, including walks, parapenting and a host of bars. When it comes to food, the French cuisine on offer at Marias is excellent, while a wide variety of different cuisine is available at Melezees. Both can be busy, though, so it could be worth reserving a table in advance. The closest airport to Tignes les Boisses is Chambery, which is around 87 miles away. Flights also arrive at Geneva, Grenoble and Lyon. Coach transfers will take approximately 3-4 hours to get to Tignes.